Pasadena's Rose Magazine features Clothes Heaven as THE resale destination. 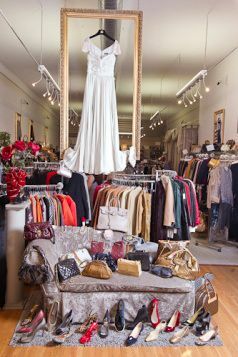 Vogue loves consignment shopping with us! First Place Winner of the Best of City Search Los Angeles “Best Women’s Clothing” award in FOUR categories! Celebrity stylist Cindy Whitehead gives a rave review of Clothes Heaven. Click here!